📅 April 2017 November 3, 2018 by Bruno B. This Siquijor travel guide and itinerary has all you need to know to plan your trip to one of the best hidden gems of the Philippines. 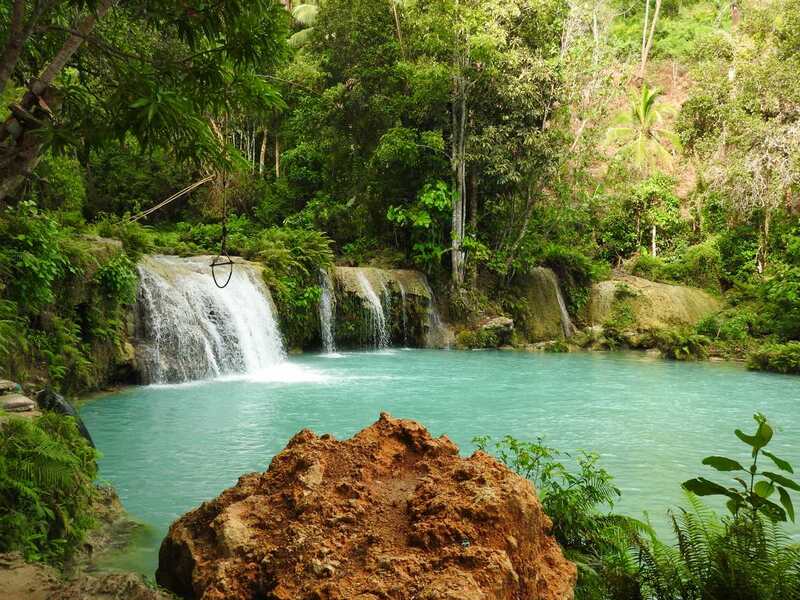 Dreamy waterfalls, secret tropical beaches and memorable sunsets await you in Siquijor: the island of fire! Siquijor island has been known as land of witchcraft, enchantments and sorcery. So much that older people from other islands are afraid to visit it! But once this place rewards you with pristine beaches, lush hiking trails and amazing waterfalls, you’ll quickly put that behind your back. Trust me. More than any other place in the Philippines, when I arrived to Siquijor I got a sense of peace. Actually, relaxation turned out to be the note of my visit. The island is as authentic you can get in the Philippines, with a beautiful tropical scenery all around and very sweet people. So fear not. Siquijor has nothing to give you apart from a memorable trip! The airport in Siquijor island does not serve international flights. However you can now fly direct to Siquijor from Cebu with AirJuan. 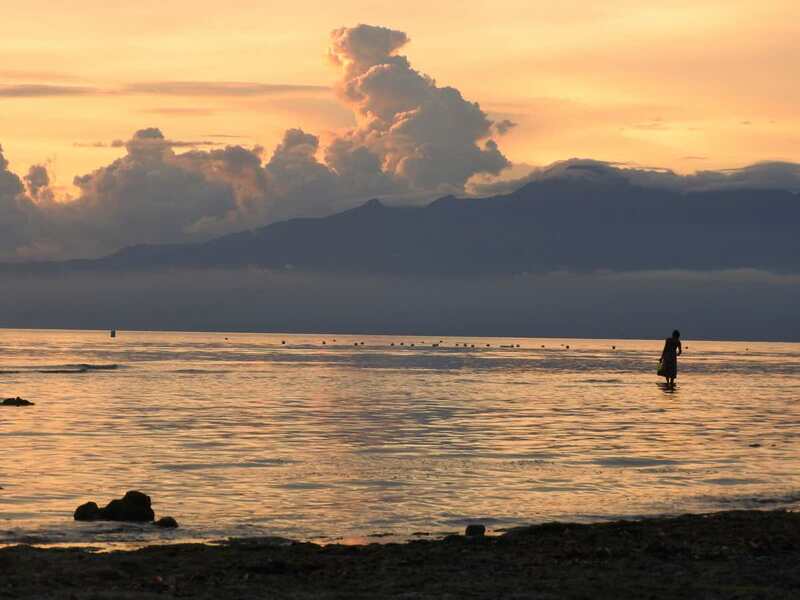 The second easiest option is to fly to Dumaguete in Negros Oriental. Between Cebu Pacific and Philippine Airlines there are several flights from Manila and Cebu per day. The duration is 1 hour approximately. Check Skyscanner or Kiwi to get the best price. From there, get on a tricycle or taxi to the port and then hop on a ferry that will take you to Siquijor from Dumaguete Port. There are still other options. You can fly to Tagbilaran or Cebu, but the subsequent ferry journey to Siquijor will be longer. See details below. Despite being a very small island, Siquijor has 2 ports. Definitely the most popular route is to Dumaguete, with several daily connections. The main port connection is to Dumaguete, with several ferries between Dumaguete and Siquijor‘s main port. Travel time is around 1-hour and the cost starting from 130 pesos. There are also longer ferries connecting Tagbilaran and Siquijor to Tagbilaran (Bohol) and Cebu City (Cebu). Here are the schedules of the main routes to Siquijor. Note there are 2 ports in Siquijor: the main one and the Larena one, where companies like Montenegro lines arrive. These are updated, but ALWAYS confirm the schedules with the respective ferry companies. The complete ferry schedules can be found on the Ocean Jet and Happy Philippines websites. Personally, I recommend the Ocean Jet ferry. It is slightly more expensive, but the boats seemed newer and more comfortable. Weather in Siquijor, Central VIsayas, Philippines, Asia, Planet Earth. It would surprise me if you didn’t know that Siquijor has a tropical climate, like most of the Philippines. But what does this mean? First of all, it rarely drops below 20 degrees Celsius in the island. Actually the temperatures are rather constant throughout the year, with a slight increase in the March, April and May months. The second half of the year is the rainy season and you expect heavier rainfall especially between October and December. If you ask me, right after this is the best time to go since you get to see everything green! I visited Siquijor in the end of year, very close to Christmas. The temperatures were just right, between 25 and 29 degrees. But it definitely the island made sure we know it was still the tail of the rainy season. Almost every day there was the odd rain shower. It never lasted for long, but it was usually at the exact time we were on the road, on the way back to our hotel. We got completely SOAKED 3 times, but hey, it’s part of the tropical life! Although being a small island, the main attractions in the island are considerably far from each other. Public transport is far from being reliable in Siquijor, but you basically have 3 options. 1. Hire a tricycle driver: if you want to explore the island without getting your own wheels, your best bet is to hire a tricycle driver. They usually show you on a map where you’re going and you are free to discuss which spots you want to see for the day. Usually it includes the Cambuhagay Falls, Salagdoong Beach and the Lazi Church, amongst others. You can hire a driver from 1000 pesos per day in Siquijor. 2. Get on a multi-cab: a good option if you’re traveling with a big group. You can hire a multi-cab, with rates starting at 3000 pesos per day. 3. Rent a bike: just like getting around in Bohol, I absolutely recommend hiring a bike. Sometimes it’s all about the journey rather than the destination and exploring Siquijor on your own is truly remarkable. If you can do it – e.g. young, active, no kids -, trust me, it’s worth it. Renting a bike should cost you around 350 pesos, not including petrol. 4. What about tour agencies? : I’m not aware of agencies providing tours, but I’m sure the largest hotels in the island can arrange them upon request. In my opinion the best thing do in Siquijor is to explore around with no real destination, chill and take it all in. That said, the island has a handful of sights and spots worth to see. I’ve addressed them in more detail in another post and now put them in the below map. 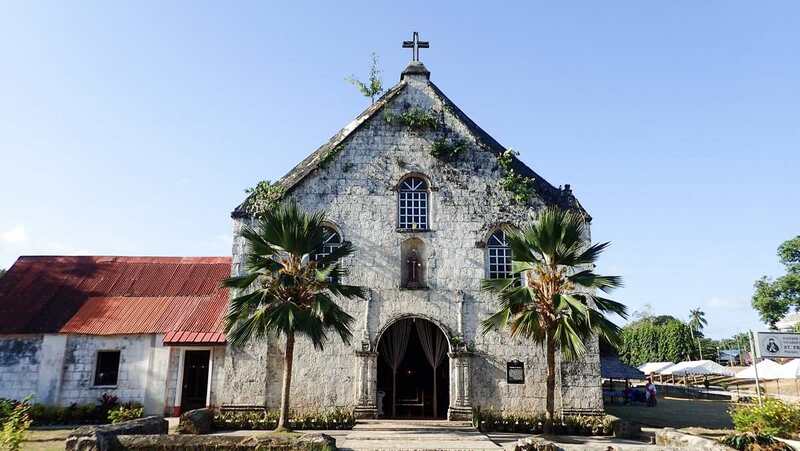 It contains all the main sights in Siquijor as well as the top restaurants in the island. You can easily download this map offline and use it to get around when you’re there. Let’s go through some of these in more detail! For sure one of the must-sees in the island and one of my favorites. These are three-tiered cascading falls in the middle of lush forest, but what is really incredible is the turquoise color of the waters. It’s perfectly safe to go in and go for a refreshing dive. The only annoying thing for me were the kids demanding money for everyone to do a “Tarzan jump” in the vines. Seriously, do you even own those? How to get to the Cambuhagay Falls: follow the Siquijor Circumferential Road in the direction of Lazi. From there, go up all the way to the falls for 10 minutes (you’ll notice the signs). Ask locals for directions if you’re unsure. More than a touristy spot, this huge 400-year old tree in Lazi is almost a spiritual spot. It’s believe to be enchanted and it provides a free fish spa session in the small lake beneath it. Also next to the tree there are some small stalls where you can buy charms and potions. If you believe it very hard, I’m sure they will work. Not going to lie, it’s an awkward place but somehow gets stuck on your memories of the island. How to get to the Century-Old Enchanted Balete Tree: follow the Siquijor Circumferential Road. The Balete Tree is right on the side of the road between the Campalanas and Lazi towns. Finally I HIGHLY recommend you take a day trip to Apo island to swim with turtles. It was one of the most amazing experiences I’ve had. Ever! Tours to Apo usually leave from Dumaguete, but many of them are done in rather uncomfortable and unsafe outrigger boats. What not everyone knows is that you can take a much better day trip to Apo from Siquijor. This is organized by Coco Grove Beach Resort. I did this. Their boat is borderline luxurious, making the 1-hour ride very pleasant. Apart from an hour of snorkeling + swimming with turtles, a delicious feast was served in Coco’s private beach. It was AWESOME. Note: it seems like they do prioritise their own guests on these tours, but we had no problems getting a spot from one day to another. I’ve ranked the top 10 spots in Siquijor, where you can find much more info about the top sights in the island. 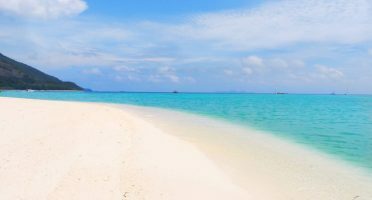 The next section is about another big highlight of the island: its beaches! “I’m going to Siquijor, but I don’t want to explore any of its beaches”. Said NO ONE EVER. They may not be as postcard-perfect as other places in the Philippines like Palawan or Panglao, yet beaches in Siquijor are very much a delight. Few people, palm trees lined up and soft white sand awaits you. And some of them even provide gorgeous sunset moments. Salagdoong Beach. Managed by a nearby resort, boasts crystal clear waters and diving platforms. A must-go. Paliton Beach. One of those beaches you only get to see in travel brochures. Amazing sunsets. Kagusuan Beach. To get here, you’ll need to survive a long drive and a trek in the forest. Worth it though. Siquijor Port Beach. I have no idea if this is the official name, but it’s the beach right next to the main port. It’s surprisingly quiet and beautiful. Tupod Beach. The main stretch of sand is directly in front of Coco Grove. This area is a marine sanctuary and you can expect top-notch snorkeling. Bacong Beach. I was planning to go to this beach in Maria when it started to rain heavily. Hence we decided to skip it, but if you go, I’d love to know your feedback! I’d recommend at least 3 or 4 days to explore Siquijor. Any less and you will be rushing a place that is supposed to be relaxing and chilled. The below list contains day plans up until 4 full days in the island. This is based on my own itinerary around the island and is more tailored if you have arranged your own transportation (bike, car, whatever). The island is tiny and there aren’t (yet) that many offers in accommodation. By far the best resort is Coco Grove, in San Juan. Considering the price vs all the commodities, activities and excellence in service, it’s GREAT value. I didn’t stay here though, as they had no availability. Instead I went for the place below and glad I did it. In fact we liked it so much we ended up extending our stay! It’s tranquil in the middle of the forest, there’s an outdoor pool and comfy spacious rooms. The owner is Swiss and a delight to talk with. Ah and did I mention they bring breakfast to your porch every day? Not happy with neither? Wow, OK. I’ve put together a shortlist of the top-rated hotels and resorts in Siquijor, with WiFi included. Food is perhaps the Aquiles’ heel of the island. You know me, I don’t expect any luxury or fancy eats, but finding good value-for-money restaurants is not an easy task in Siquijor. To be honest, the food in Philippines can be somewhat disappointing compared to other countries in Southeast Asia. Anyway. Here are the places I found to the best in Siquijor. This restaurant/bar in San Juan has a very good vibe and decent food. The tiger prawns were delicious. Check out their bar next to the beach during sunset, awesome view! As downsides, it can get very busy and I found it slightly pricey though. The first place we ate in Siquijor, very close to the main port. While not being a memorable experience, the food is decent at a very good price. The coffee here is imported and properly brewed. Their slogan is “The Best View of Siquijor” and there’s a good reason for it. This bakery/coffeeshop in Larena has a gorgeous open view of the coastline. The setting compensates for the lack of authenticity on the menu, consisting of pizzas, burgers, fritters and healthy salads. Bukayo: the popular type of bread in the island, made from coconut meat. To give you a good idea of the budget you can expect, I’ll give you some examples of what things costed me. The prices are updated as per December 2016. Transportation: The Ocean Jet ferry from Tagbilaran via Dumaguete was around 500 pesos (not 100% sure of this, sorry!). There’s an extra 100 for the luggage. The transfer to our lovely guesthouse was included in the room fare. Vehicle rentals: we rented a motorbike for 350 pesos per day. I’m sure you can find lower prices if you haggle a bit. Food: local restaurants serve main dishes starting at 60 pesos and on average a lunch would cost around 150-200 pesos. Water: don’t forget to hydrate! A big water bottle (1,5L) costs from 10 pesos in local shops. Accommodation: I’d say you can expect to pay somewhere between 1000 and 1800 pesos per day in most places in Siquijor. 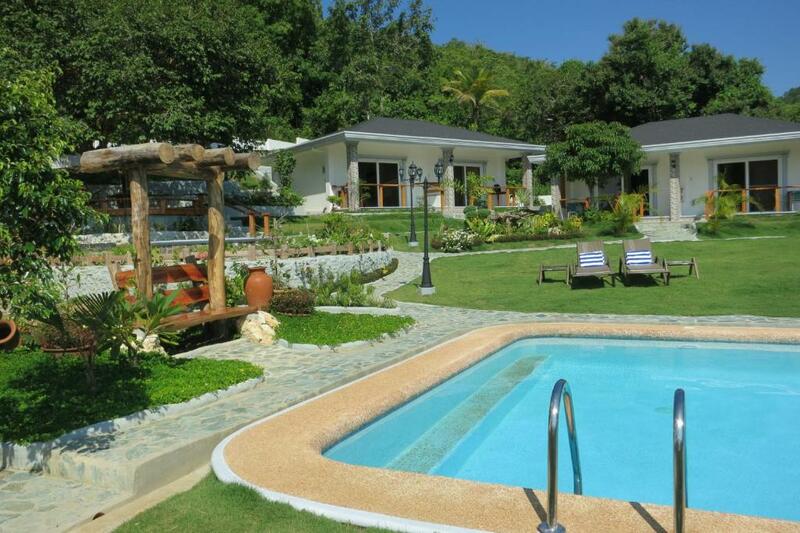 In the place we stayed – Garden Bungalow – rooms start from 2000 pesos/day. You can find more fancy high-end rooms in Coco Grove Beach Resort. Entrance fees: everywhere you go in the Philippines you need to pay a small entrance fee. Even in improvised parking lots and airport terminals. See below the entrance fees for the main sights in Siquijor. In general and despite being a more remote island, the prices in Siquijor are pretty much in line comparing to other places in the Philippines. 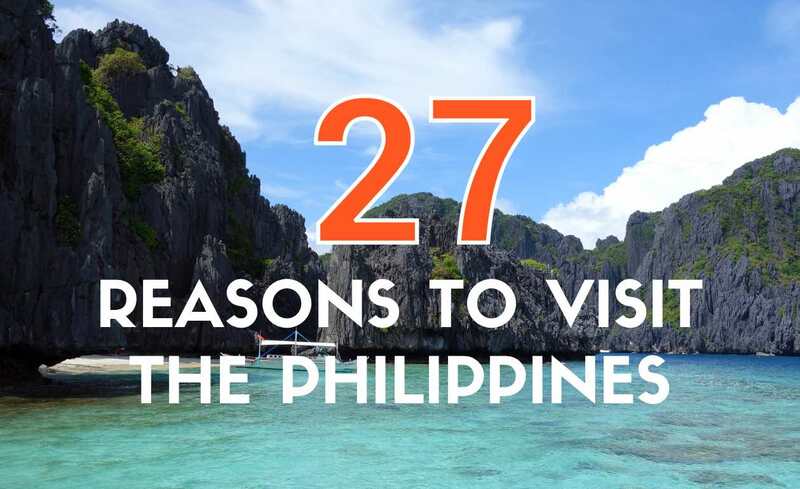 And definitely lower than in touristy hotspots like El Nido! If you’re traveling with more people, you can easily get around with less than 1000PHP or 50EUR/USD per day, accommodation included. Public transportation is just not reliable. Don’t worry, it’s easy to drive around, the main roads are generally in good condition. In the Philippines (too) any places ask for a minimal entrance fee (even churches and airport terminals). They might as well change their name to FEE-lipphines. Coming from busy touristy places like Alona Beach in Bohol or El Nido in Palawan, Siquijor was a true delight. From the moment you disembark the ferry you know it’s going to be special. 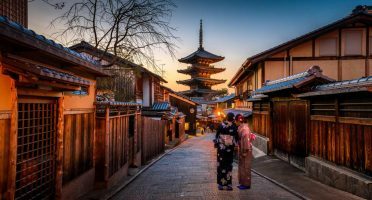 There aren’t any pretentious luxurious resorts (yet), nightlife, aggressive hard-selling from touts or even a wide choice of restaurants for westerners. As a result, it’s the perfect place to go local in the Phils. Going to Siquijor is going as local as Philippines gets. 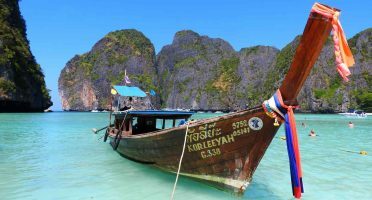 It is a safe and remote island with charming people, beautiful sights and with lots of exploration and relaxing opportunities. For a first-time visitor, it’s perfectly understandable to visit other more hyped islands in the Philippines. But allow yourself some days in Siquijor too. It will give you a fresh and authentic perspective of the country. And probably the most memorable sunsets of your life! Which island is your favorite in Philippines? Let me know your experience in Siquijor and other places in the Philippines!